The Department of Ocean Engineering hosts weekly seminar series throughout the fall and spring semesters. During the fall semester, the seminar is attended by both senior undergraduate students and graduate students. In the spring semester, the seminar is attended by graduate students only. 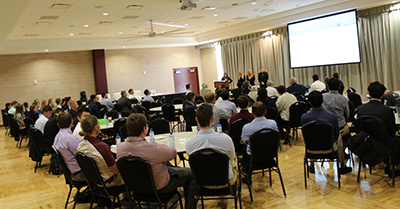 The seminar introduces responsibilities and obligations of new ocean engineers; professional ethics, membership in professional societies and professional registrations; case studies and lectures presented by staff and practicing engineers.